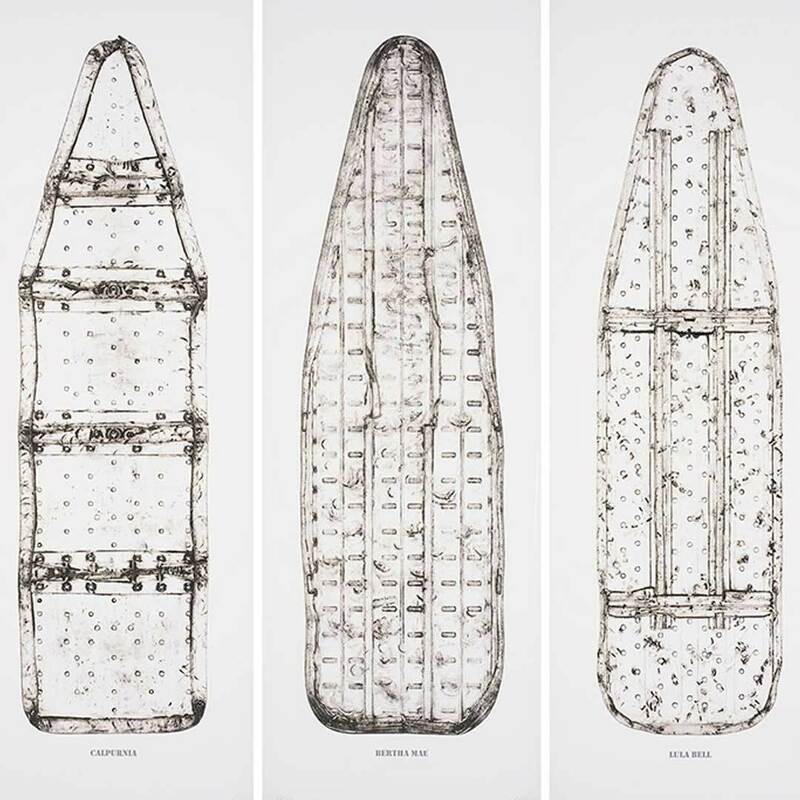 "Willie Cole’s Beauties are haunting, full-scale prints made from crushed and hammered ironing boards, each named after a woman from the artist’s family and cultural history. Cole has used irons and ironing as central motifs in his work for 30 years, evoking everything from African masks to slave ship diagrams to the routines of domestic servitude. In this special installation, the gallery will be lined wall to wall with the Beauties. Standing silently—like sentinels, tombstones, shrouds, or windows—the prints will open a space for confronting anew the whole range of often contradictory energies running through them: resistance and oppression, beauty and violence, labor and forbearance." What is the History Design Studio? The History Design Studio is a year-long workshop for developing, critiquing, and producing new projects in multimedia history. Workshops include group discussion, collaborative brainstorming, rapid prototyping exercises, and formal and informal group critique sessions with guest critics. In addition to being a physical studio space in the Hutchins Center, equipped with hardware and software for multimedia production, HDS is also a community and network of like-minded scholars, invested in collaborative work and experimental narrative forms. All Harvard students and affiliates are welcome to participate. No design or art experience is necessary.